Eric is a Colorado native and has been in the mortgage industry since 2001. He leads a personal production team as well as holding the regional manager position over Colorado for Guild Mortgage. 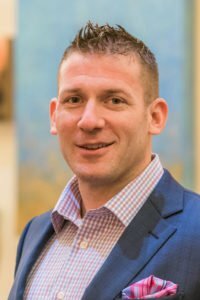 His expertise, knowledge and reputation among clients, peers and referral partners have led him to be recognized by Mortgage Executive magazine and Scotsman Guide for multiple years as one of the Top 200 loan officers in America and obtained numerous local and national industry awards. He loves to compete, is a team player, and prides himself on building trust quickly. Outside of Guild, Eric enjoys coaching youth sports, crossfit, and enjoying all of the activities Colorado has to offer with his wife, Jackie, and 3 daughters, Charlsie, Callie and Courtnie.